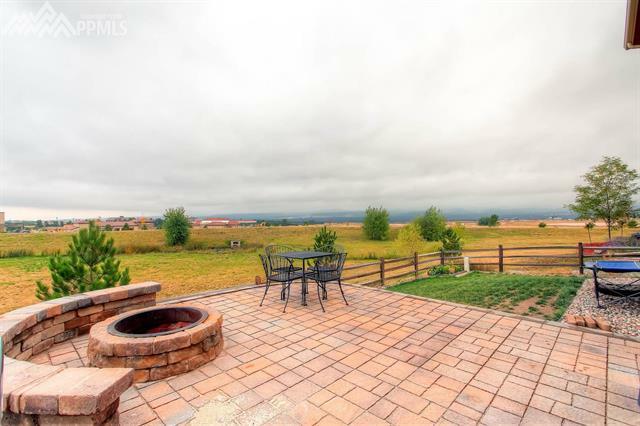 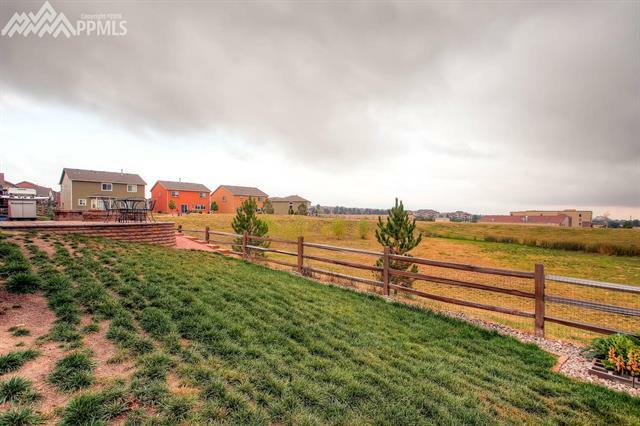 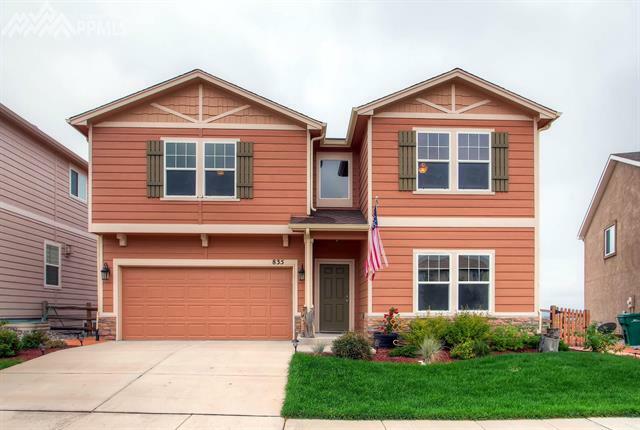 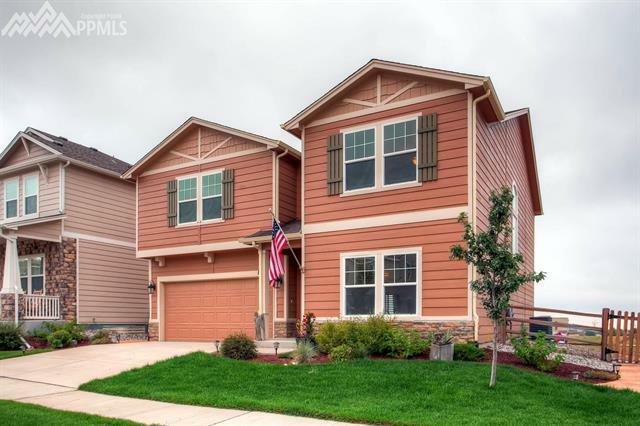 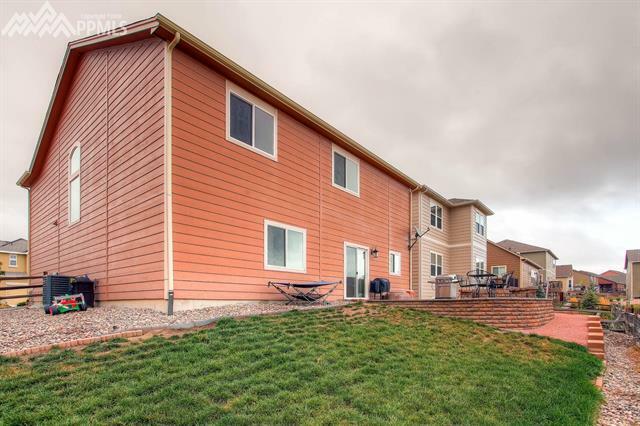 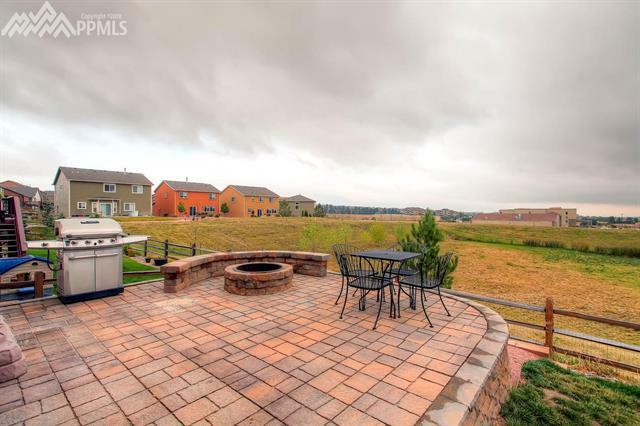 Beautiful two story home backing to open space with an incredible view of Pikes Peak and the Air Force Academy! 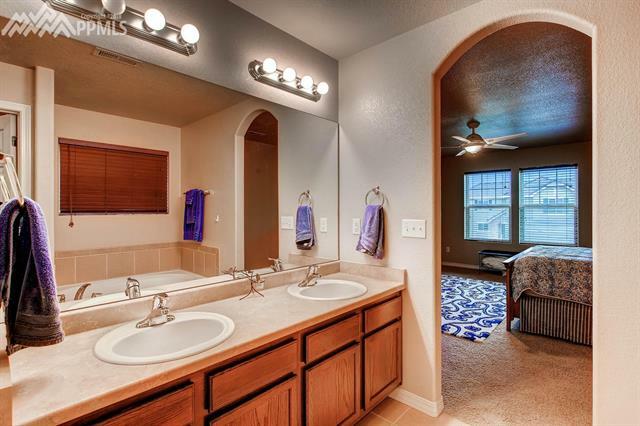 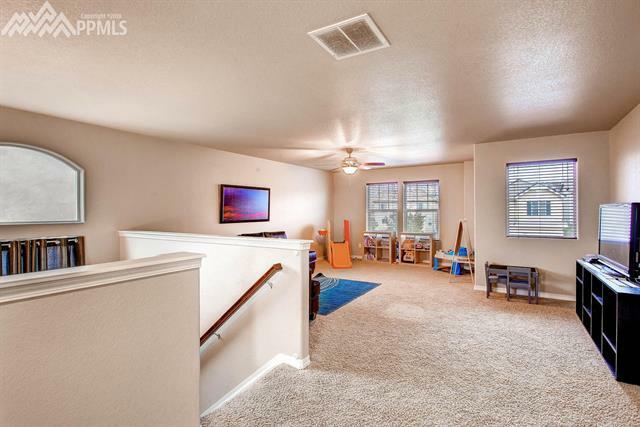 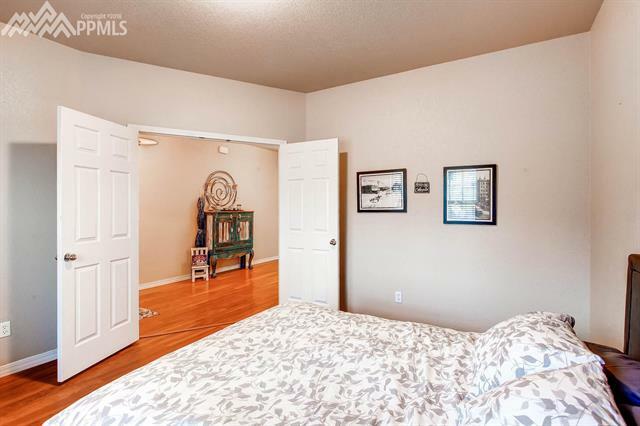 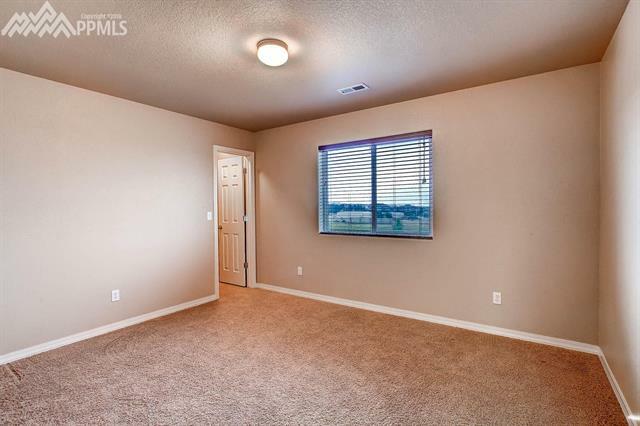 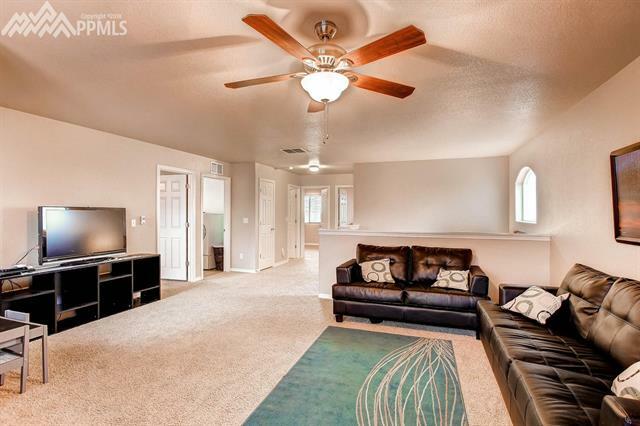 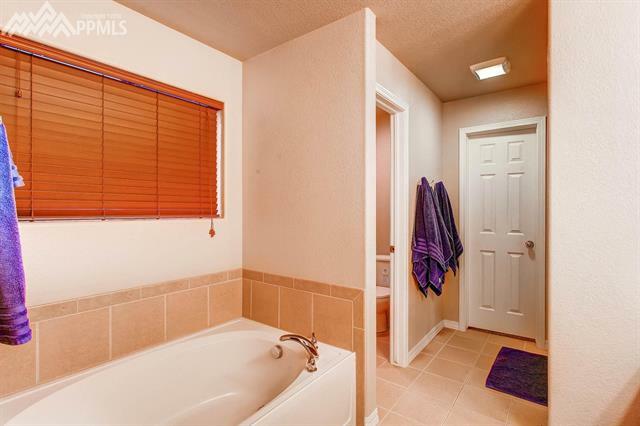 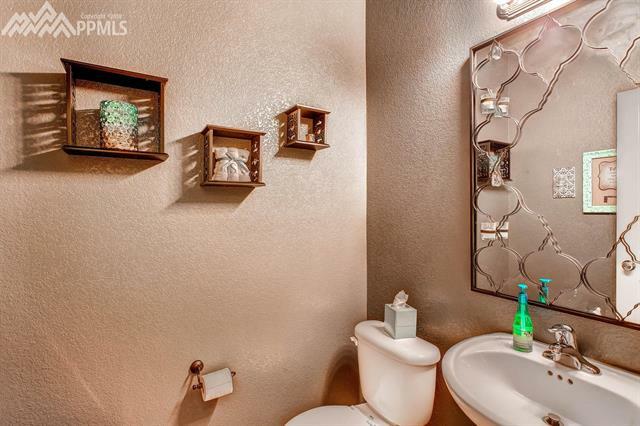 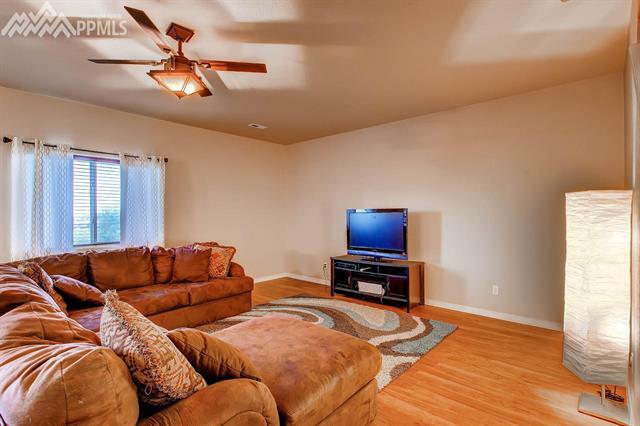 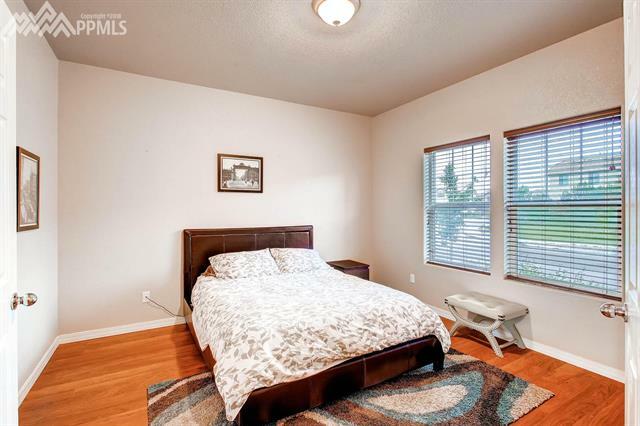 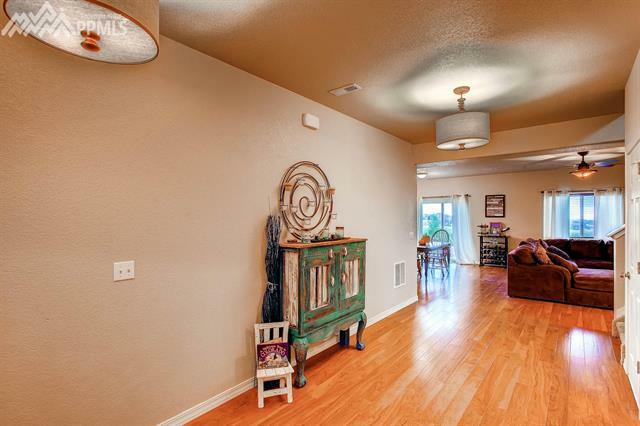 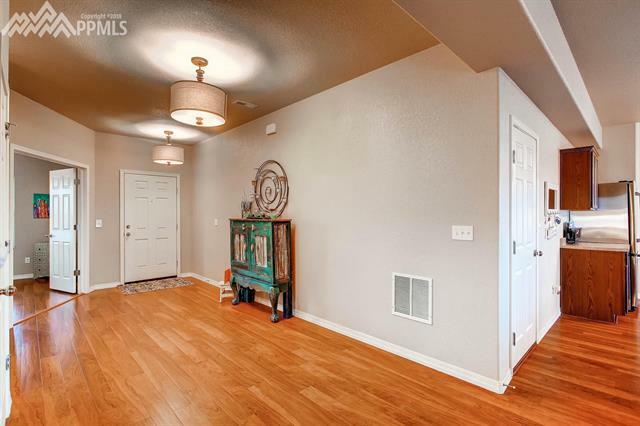 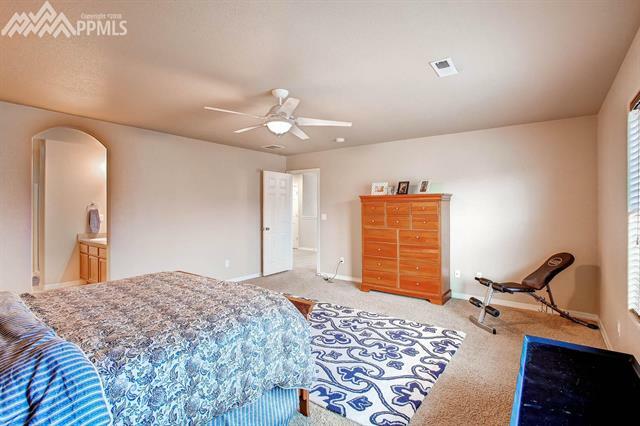 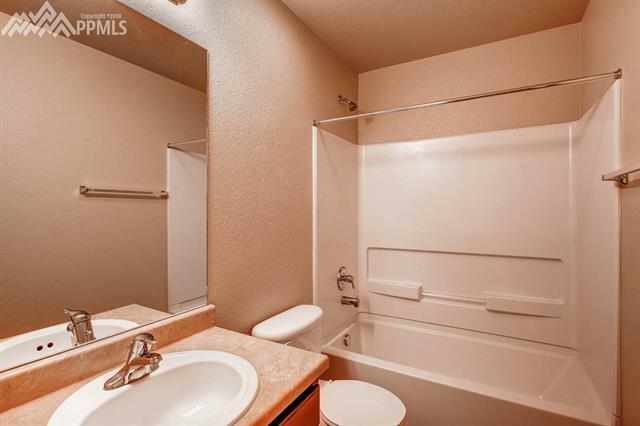 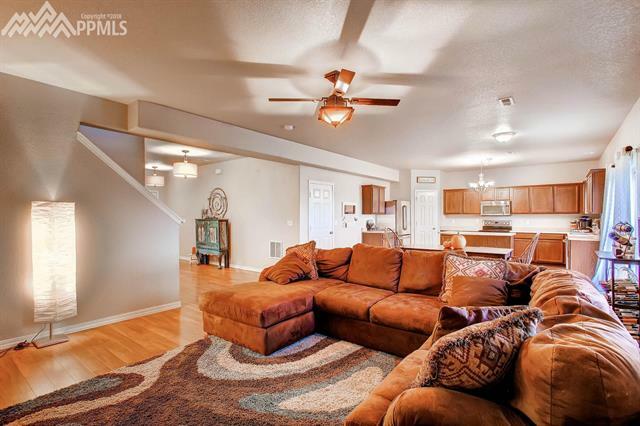 Has an open floor plan with spacious 9 foot ceilings. 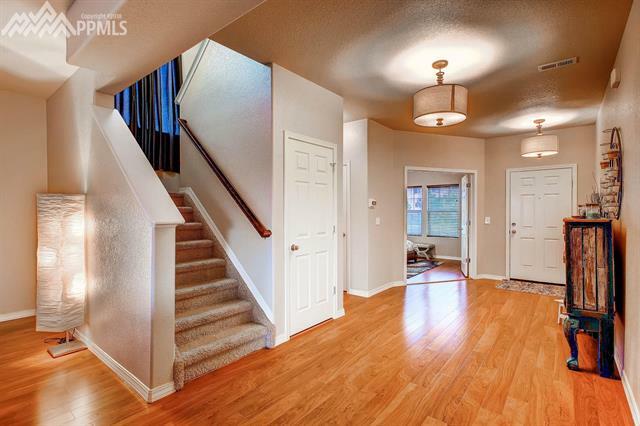 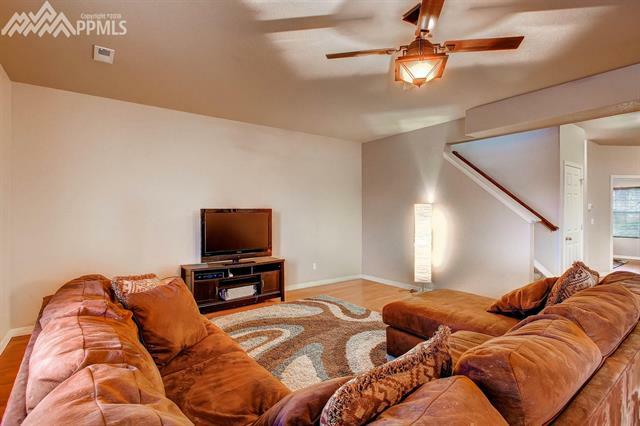 The main level is all laminate hard wood floors with a great room concept. 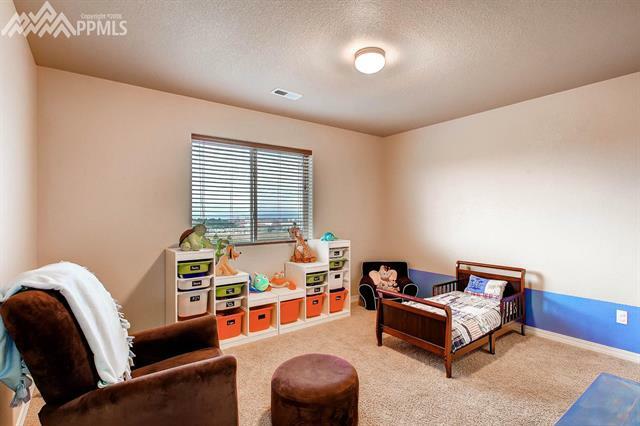 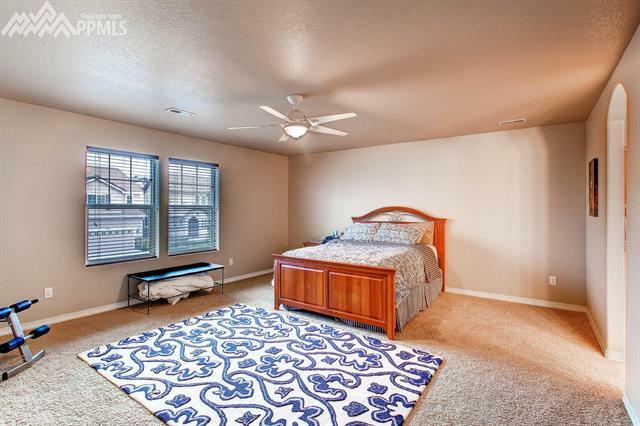 The main level study/bedroom with the addition of the upper level large flex space allows for flexibility for a 4th bedroom or office/play space. 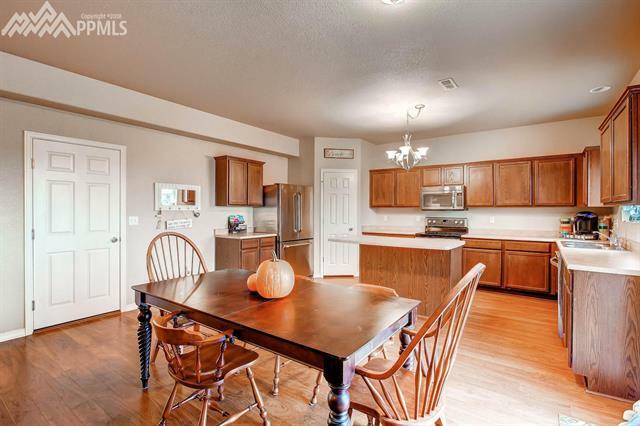 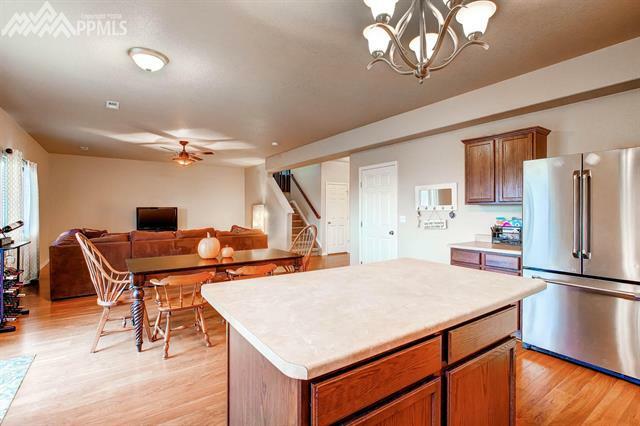 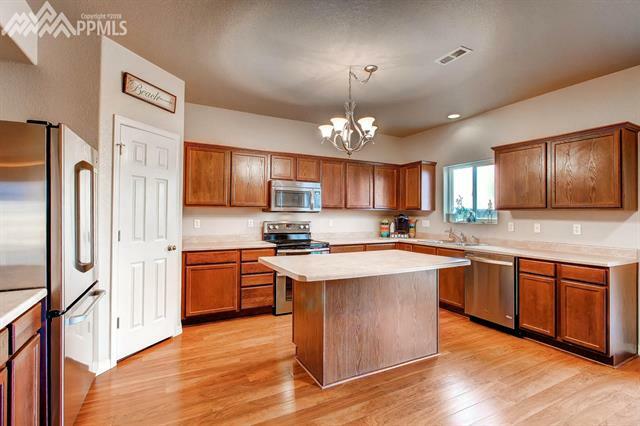 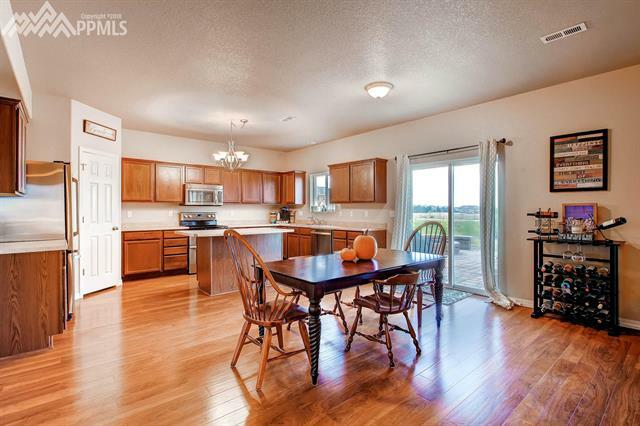 The kitchen is upgraded with stainless appliances, kitchen island, and walk in pantry.